Social media is all the focus of marketing talks these days. But here you go… Research shows that yes, the well known email is the most effective form of digital marketing and is still far more effective than social media in attracting customers to your business online. Period. There are multiple studies in the recent years showing that customer acquisition via email has grown exponentially year over year. Organic search is the most powerful acquisition channel, but only a miniscule percentage of customers purchase via Facebook or Twitter. Working with a variety of businesses for years, we have discovered that customers who come to businesses via email tend to shop more and spend more. Don’t get me wrong – social media is valuable for customer engagement, but it turns out email beats it in driving sales. 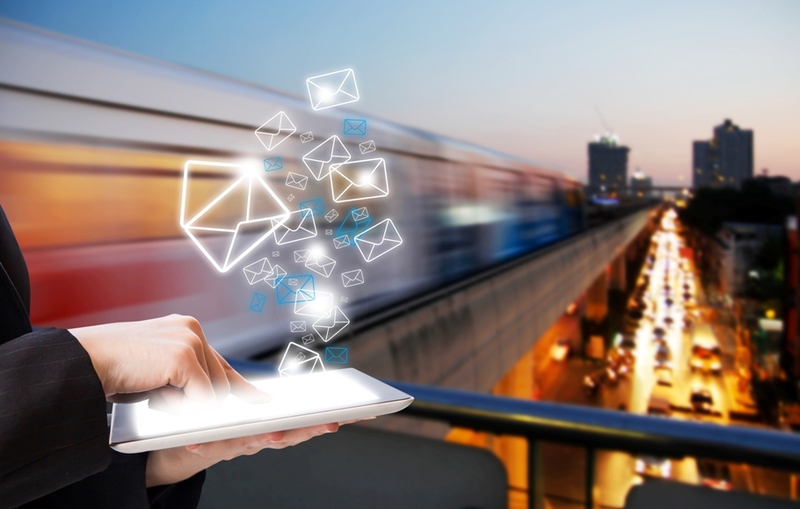 Email is effective for many reasons. First, it’s opt-in-based when people who subscribe to your list give you their consent to send them messages. Secondly, it is as personal as it gets, as it arrives in the customer’s hands directly. Who has time to go search for your business online or for your social media accounts? This puts you front and center, and your message is as close as it gets. A primary reason why email is now a more powerful customer-acquisition channel is mobile devices. In fact, email is known to be the number-one activity for people on their phones. I know, I do it constantly! People check email all the time, wherever they are, and whenever they have a spare moment. You are right: this gives your business the opportunity to stay connected. But you have to be smart, because the window is narrow. When people read email on a mobile device they do it quickly. So make sure your emails contain a powerful message and grab attention. More than forty percent of all emails are now viewed on smartphones, which means your messages must be coded to be attractive on a phone screen. But do not worry! With Nouri.sh eNewsletter you do not need any coding. Nouri.sh takes care of that for you. So would you rather chase social media tactics that you are not too sure about, or invest in the thing that really works, which is email? Email is more important than ever, not less. Partner up with us at Nouri.sh and join the winners who leverage email most effectively! Why use Nouri.sh you say? We’re helping businesses improve how they communicate with their customers, so we take care of enabling you to share the stuff that you really care about and want your customers to know and eventually also care about. We help you tell clear and meaningful stories and connect with your audience whenever you want, wherever you want. So if you don’t already have a Nouri.sh account sign up now. It is free and takes only a few moments to register and set up your first automated online campaign. And what is more – we are always here to support you! Give it a try and see for yourself!